Starring Jorge Cruz, Jose-Luis Gutierrez Frank Fuentes, and Edie, The Salsa FREAK!! 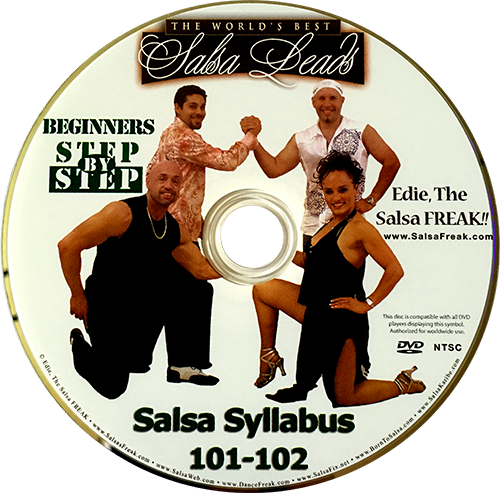 This DVD Set is a College Curriculum course developed by one of the most sought-after Salsa Instructors in the world, Edie, The Salsa FREAK. 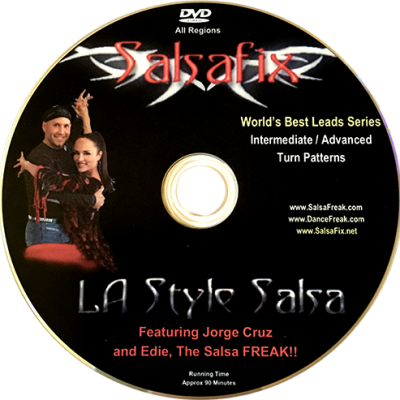 This Syllabus is a result of over 12 years of research and refinement of Salsa moves and techniques used by some of the world’s best social Salsa dancers. Know for sure that what you are teaching is correct. Show technically perfect lead and follow techniques.